The 2013 summer movie season is winding down and the focus is starting to turn to potential awards pictures. Many will make their debuts at the fall festivals and today marked the beginning with the premiere of Alfonso Cuaron’s space odyssey Gravity as the opening title of the 70th Venice Film Festival. The ambitious and hotly anticipated film appears to be making huge waves with festival-goers, as early reviews are uniformly positive – a great launch to seemingly hard-to-sell film. 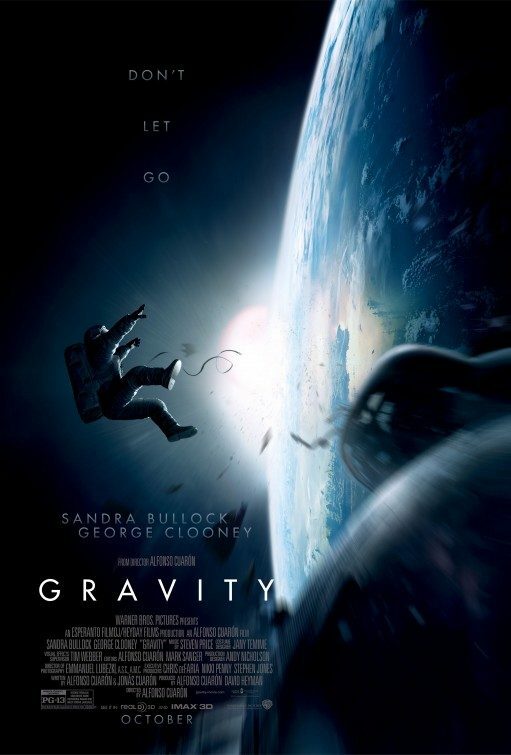 Gravity tells the story of medical engineer Ryan Stone (Bullock) who after a accident on a mission finds herself lost in space. George Clooney co-stars and Ed Harris supplies the voice of Mission Control (a throwback of sorts to his Oscar-nominated role in Ron Howard’s Apollo 13.) The film has long been in the works and marks Cuaron’s first return to the screen in seven years following his critically acclaimed and Oscar-nominated thriller Children of Men. The film has already been commended visually after the successful launch of the teaser trailer this past May and more footage that screened to rapturous praise at San Diego’s Comic-Con last month. The film was written by Cuaron based from an idea by his son Jonas. 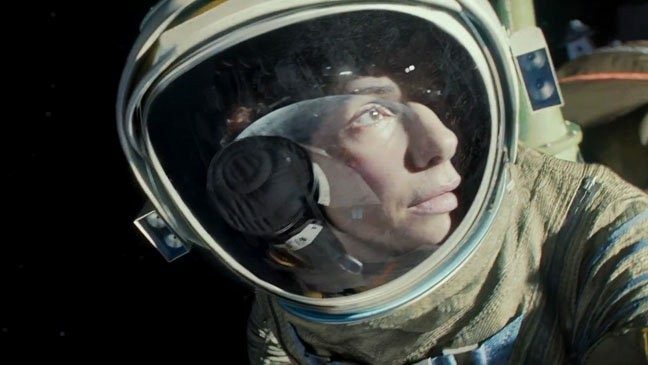 Gravity also reunited Cuaron with his longtime collaborator, the great cinematography Emmanuel Lubezki, whose contribution to the 3-D altered space saga has already earned praise, especially notable in the films long edit-free tracking shots. Lubezki, a four-time Oscar nominee is also the choice DP for Terrence Malick. All of which raises the question as to why the film wasn’t placed into competition. Cuaron has a great legacy at Venice, which also launched the premieres of his past work Y Tu Mama Tambien (who took home the screenplay prize) and Children of Men (which won two special jury prizes in 2006.) Either way, Gravity premiered out of competition as the opening title of the Venice Film Festival and will continue to play at both the Telluride and Toronto Film Festivals before landing into cinemas on October 4th.